I love me some Han Solo in Carbonite artifacts. And this ice cube tray. And of course the coffee table. 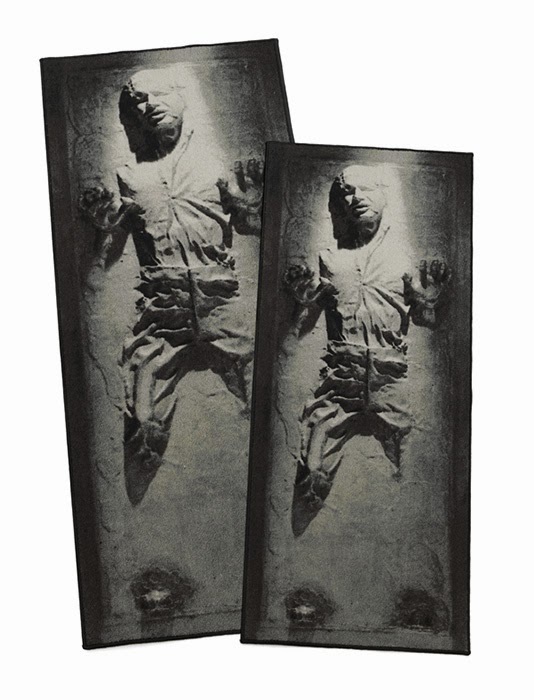 The Han Solo in Carbonite area rug. Here's a better view. 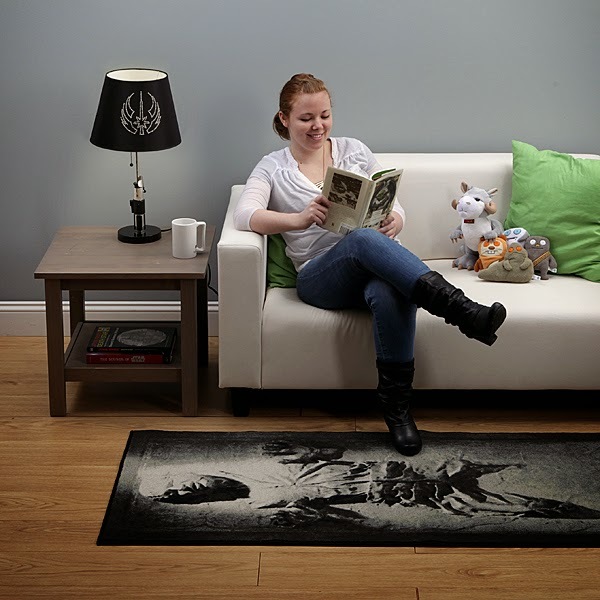 Check out ThinkGeek for full details.